Neuroblastoma is a cancerous tumor. It usually develops in the tissues of the adrenal gland, but it can also start in nerve tissues in a child’s neck, chest or spinal cord. It is one of the most common solid tumors in children and is most often diagnosed before age 5. I-131 MIBG treatment: Therapeutic MIBG is an advanced treatment option for children battling high-risk, recurrent or refractory neuroblastoma or pheochromocytoma. Blood and marrow transplant: If your child has a cancer that is hard to treat, doctors sometimes use high doses of chemotherapy as part of the treatment. The high-dose chemotherapy can damage healthy blood stem cells. You child may need a BMT to help rescue his blood stem cells after the chemotherapy. Developmental therapeutics: We offer some of the most promising new cancer treatments for children who have relapsed or who have difficult to treat cancers through early-phase clinical trials. Biological therapy and immunotherapy: Therapy used to stimulate your child’s immune system to act against the cancer cells. A child with neuroblastoma may undergo any one of these treatments or a combination of them. Our team is committed to advancing research and medicine by developing new techniques, treatment and cures for children and young adults with solid tumors. We are home to one of the largest clinical trial programs in the country—offering our patients access to some of the most novel treatment options in the country. We are home to one of the leading childhood cancer programs in the country. Combining the latest proven technology and research with a caring, child-friendly approach, makes the Aflac Cancer and Blood Disorders Center a top choice for the treatment of neuroblastoma. 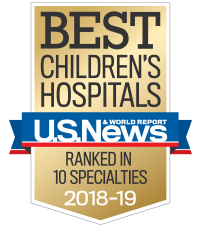 We are home to one of the leading pediatric programs in the country to offer MIBG therapy, an advanced treatment option for children battling high-risk, recurrent or refractory neuroblastoma or pheochroocytoma, treating more than 50 children with relapsed neuroblastoma over the past three years. We are a Children’s Oncology Group Phase I institution and a member of the New Approaches to Neuroblastoma Therapy (NANT) consortium.